Avocados are spectacular fruits that lend themselves to all kinds of savory dishes (and sweet ones too!). But it’s not often we think of enjoying them grilled. 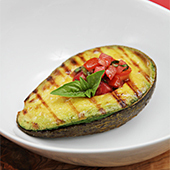 Grilled in their skins, the avocados acquire a marvelous smoky flavor and their flesh becomes soft and warm. The tangy tomato salsa, spooned in the center of the avocado halves, brings a wonderful contrast to the creamy flesh. 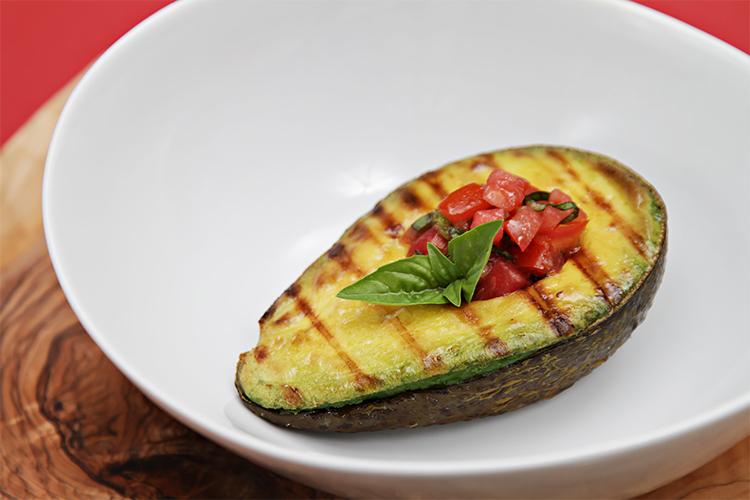 All in all, this is a fast and easy low-carb grilling option for the vegetarians in your household – no longer will they feel left out of all the smoky goodness that barbecuing brings! 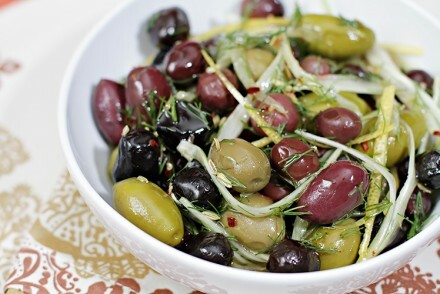 But most importantly: this appetizer is so delicious that everyone else will want some, too. A white wine is a must here, but it has to do two things: it has to go well with a bit of spice, and it has to pair with the rich, creamy flesh of the avocados. In other words, we need a wine with good body and wonderful aromatics. A dry Riesling is the first pairing that comes to mind, but a Grüner Veltliner from Austria, a Sauvignon Blanc from either Chile or New Zealand… or even a sparkling wine or Champagne would work beautifully with this tantalizing appetizer. Step 1: For the tomato salsa – Place the jalapeño, onion and salt in a molcajete (Mexican stone mortar). Grind for 1 to 2 minutes, until the mixture starts looking like a paste. Place the tomato cubes in a medium bowl. Add the jalapeño mixture to the tomatoes. Drizzle with the vinegar and oil, and add the basil. Stir until well blended and set aside. Cook’s note: If you don’t have a molcajete, use a regular mortar and pestle – but note, because it lacks the rough edges of the stone mortar, it will take a little bit longer to grind the mixture. Step 2: Preheat grill or griddle to high heat. Cut the avocados in half lengthwise and carefully remove the pits. Do not peel the avocados. In a small bowl, whisk the lime juice and oil. 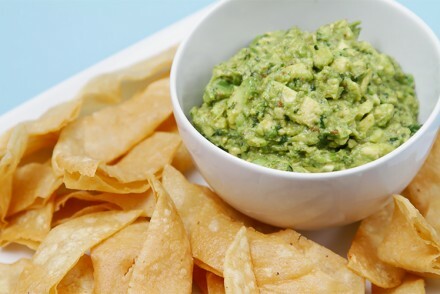 Brush the cut side of the avocados with the lime mixture and sprinkle with salt to taste. 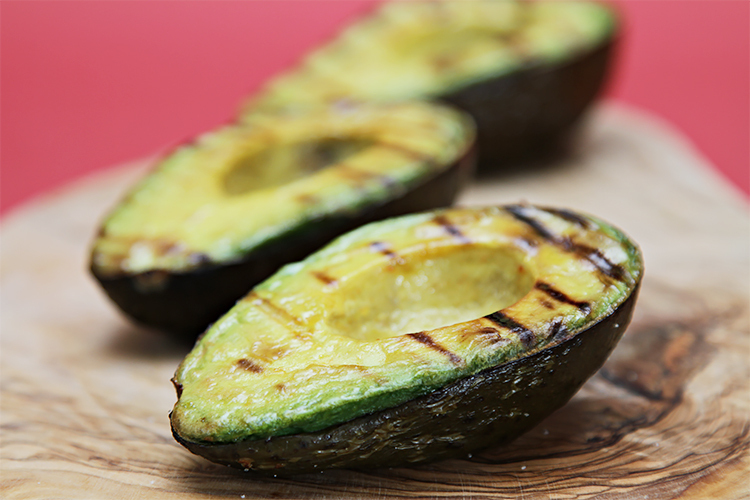 Place the avocados cut-side-down on the grill until grill marks appear. 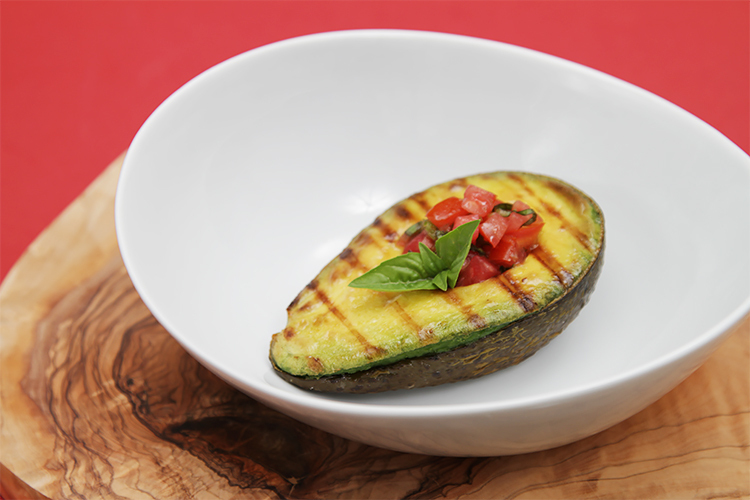 Turn the avocados over and continue to grill until the skin is charred and the flesh has softened. Transfer to a plate and let cool for 5 minutes. Sprinkle the avocados with salt again and spoon the tomato salsa in the center of each avocado half. 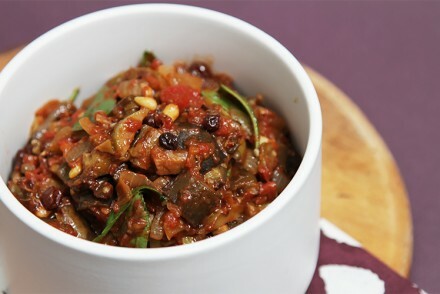 Garnish with a basil leaf and serve with the balance of the tomato salsa on the side.